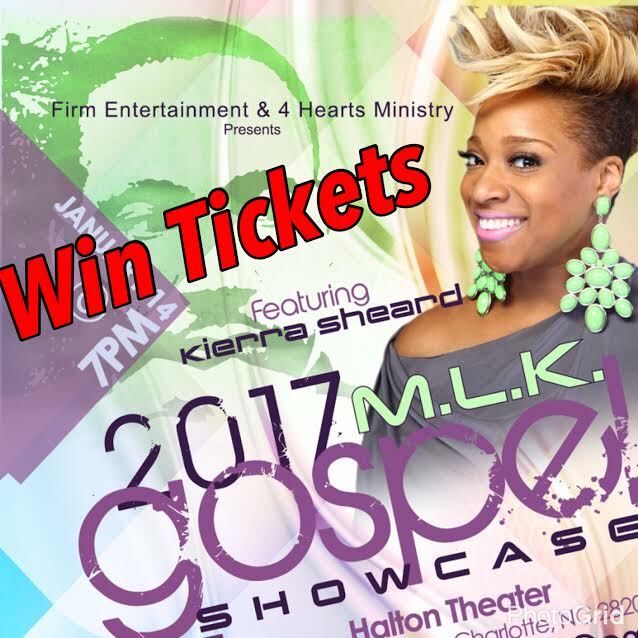 The beautiful and talented KiKi Sheard will be performing Live January 14th MLK weekend at Halton Theater in Charlotte!! GospelHappenings.com is giving you a chance to have a Hand Clapping and Foot Stomping Praise with KiKi Sheard for FREE!!! But that’s not all! The show will be hosted by Social Media Sensation Comedian Anna Douglas. Also enjoy performances by the Christian School Of Dance, Fred Jones Mime, the Judah Choir of the Park Church, West Charlotte HS Chorale Ensemble , Darryl Powell and the Nu Nation Choir of Greater Salem, and the DRC Prima Diamond Dance Team. Click Here to enter today. Contest ends 2pm Thursday, January 12th.